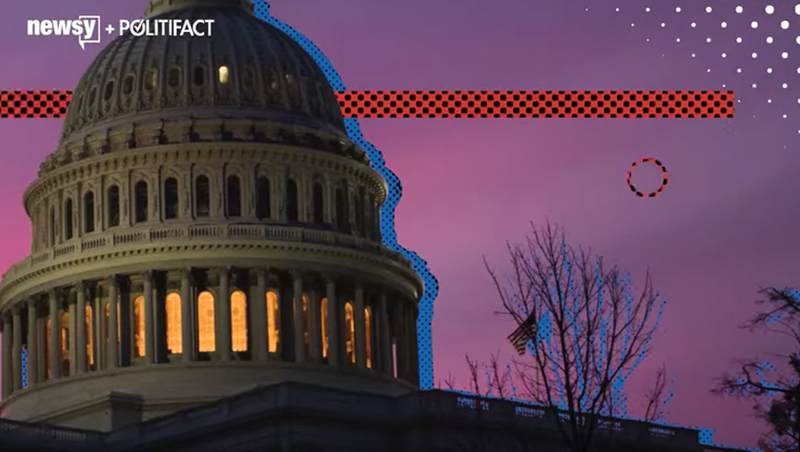 “What the Fact,” a streaming Sunday political talk show is purposefully low budget — but boasts a catchy trailer. The show is a joint production of Newsy and Politifact. A fast paced musical bed in the trailer is matched to quick cuts through a series of photographs, which feature cutout silhouettes along with pop dot style animations and accents that have been carefully composited. Scenes include Washington, D.C. landmarks as well as shots from inside the House chamber, White House briefing room and more.